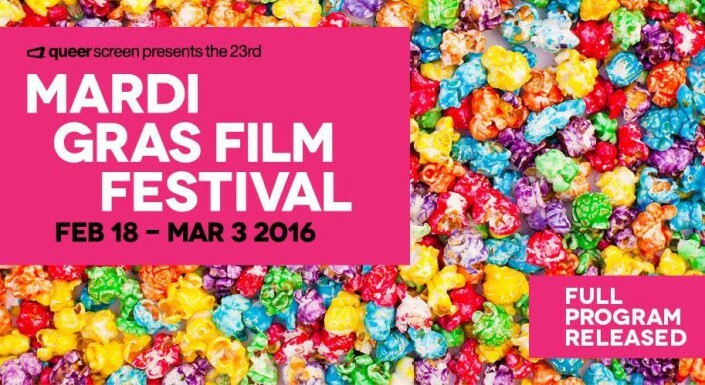 This year the 23rd Mardi Gras Film Festival will screen 69 films from Thursday 18 February until 3 March, 2016. Opening night begins with one of the greatest French lesbian romance films, Summertime. This sensual masterpiece is set in the 1970s and takes you on a journey of discovery. If you want a special night outdoors then you won’t want to miss the celebration of the 25th anniversary of In Bed With Madonna on Wednesday 24 February at The Harbour, Fleet Steps, Mrs Macquarie’s Road, Sydney. A free screening of a coming-out-late-in-life emotional drama What’s Between Us. After eighteen years of marriage, Alice finds herself confronted with the fact that her husband Frank feels more and more attracted to men. The majority of the films will be screened at Events Cinemas George Street, Sydney. Extra films will be shown at Golden Age Golden Age Cinema and Bar in Surry Hills and the Hayden Orpheum in Cremorne. Post-festival there will be screenings at Parramatta and the Blue Mountains. Don’t miss this unique opportunity to check out some talented short films and docos. Happy Mardi Gras!